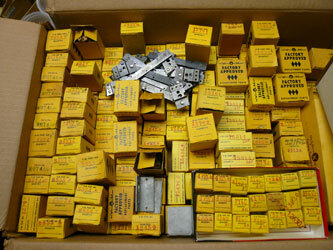 V-M Audio Enthusiasts is always on the lookout for new old stock V-M Factory Service Parts, Accessories, and Literature! 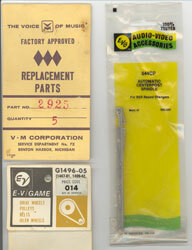 Including parts repackaged by “EVG”, Walsco, or GC . Zenith parts with “907-“ prefix are also V-M parts. GE, RCA and other brand new old stock parts may or may not be V-M parts but Contact Us with what you have. We also buy used “dud” idler wheels and broken AC switches for rebuilding….